A wave of investment is flowing into Bitcoin Cash in the last 2 days. At the same time, Bitcoin prices are retreating, while mining power switches over to Bitcoin Cash. As a result, Bitcoin’s mempool – the place where unconfirmed transactions are stored until they are confirmed – is ballooning. This has created a dynamic in which the further Bitcoin prices fall and the more Bitcoin Cash soars, the more it will be profitable for miners to mine on BCH. This could harm BTC transactions in the short term, until difficulty re-adjusts. Until then Bitcoin prices could continue to retreat, but this can trigger countervailing factors. Tracing the origins of this spiral, might mean going back a few years to when scaling debates begun. 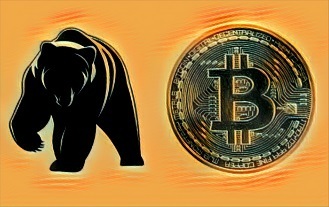 There is no doubt that scaling is a key component here, but as Bitcoin Cash soars, the most immediate triggers are the ones that will determine the potential of this bull run. The first visible triggers according to reports, come from trading in South Korea, where it seems the Bitcoin Cash pump started. That tipped the balance and gave miners the signal they were waiting for: more demand for a scarce asset that they can unlock, means higher prices. As Bitcoin Cash soars, switching mining over from Bitcoin generates BTC transaction delays. That in turn means transaction fees on BTC increase, but block rewards are delayed until difficulty re-adjusts. Miners then have to calculate if they stay in BTC for ever-growing transaction fees and a slower reward, or if they switch over to BCH for a faster reward – that is increasing in price – and forgo profits from higher fees. The problem is that Bitcoin is still the gateway into cryptocurrencies, meaning a lot of the money in fiat waiting to come into the markets is likely to go through the network that is being slowed down. Lower prices might trigger a bigger influx of funds, especially because investors cannot keep every single technical detail in mind – Bounded Rationality. At some point this seemingly unstoppable spiral in which Bitcoin Cash soars beyond expectations and takes over Bitcoin’s market share, will run into obstacles. Bitcoin still has by far the most extensive network effect, and as BCH prices continue to rise and miners continue to switch over, they start making the gateway cryptocurrency – Bitcoin – more attractive. They will also trap a significant amount of money within a slower network. That money is exactly what BCH needs to keep on growing. This means that while Bitcoin transactions slow down, the potential that Bitcoin Cash has, to keep on growing slows down. Money flows from Korean markets are limited, therefore this recent bull run on BCH and the bearish sentiment taking hold on BTC should be taken with a grain of salt. A wider look at cryptocurrency markets could give investors some perspective on this. BTC prices are down as Bitcoin Cash soars, seemingly setting a new all-time high every minute. The same seems to be happening with ETC, and that is unrelated to the whole BTC-BCH dichotomy. From that vantage point, it seems markets are either behaving irrationally or there are serious asymmetries of information. In either case, forces will find a new equilibrium, and BCH price increases will also slow down. Miners will eventually respond to that new balance and difficulty on the Bitcoin network will re-adjust. The $100 billion USD question is where is that new equilibrium point at? That we don’t know, but what we do know is that anyone with a stake in any cryptocurrency right now, should look at the dynamics from different points of view before they decide where to put their money. Our recommendation is to keep on reading, diversify your sources of information as much as you can and keep your Bounded Rationality in check before you make a move. No one out there knows what the outcome of the interaction between these countervailing factors will be. Only time will tell.